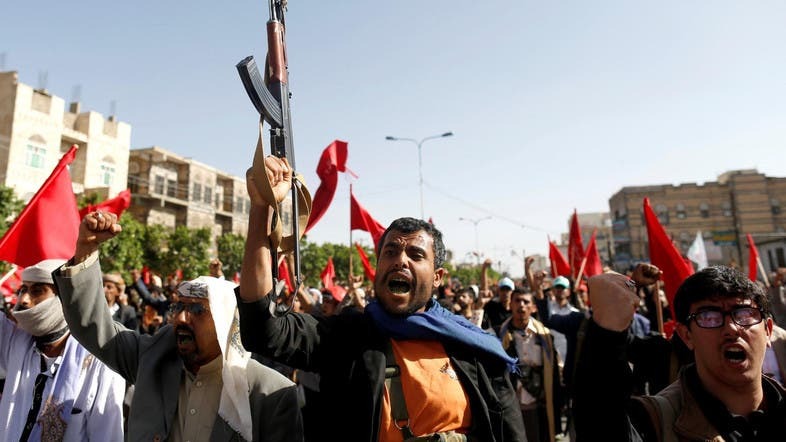 Tension and armed confrontations widened between the militias of Abdul Malik al-Houthi and his uncle, Abdul Azim al-Houthi, a Zaidi cleric in several areas in the governorates of Saada, Hajjah, Amran and Sanaa with both rallying their bases in many regions of Saada. Tribal sources in Saada confirmed that Abdul Malik al-Houthi militias are still holding dozens of wounded followers of Abdul Azim al-Houthi who were kidnapped from hospitals. The sources confirmed that the followers of Abdul Azim al-Houthi accuses the militias of Abdul Malik al-Houthi of extremism and subordination to Iran, and the dissemination of Khomeini thoughts in Yemen at the expense of Zaidi doctrine. It is worth mentioning that the Zaidi cleric Abdul Azim believes that the actions of the Houthi militias are not related to the Zaidi doctrine, but rather describe them as thieves and bandits. Abdul Azim the uncle of the Houthi militias’ leader, rejects Iran’s interference in Yemen’s affairs and fiercely opposes what he consider a pressuring from Iran on the Zaidi sect followers to serve the Islamic Republic interests.